Photoshop has changed the world, but it's not content with just the future; it's going back to grab the past too. 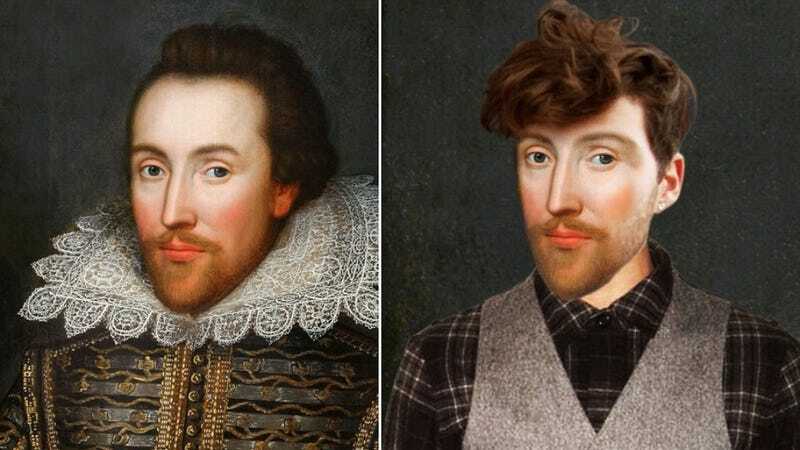 These digitally modernized portraits of historical figures were put together to promote History TV's new series, the Secret Life Of..., and will make you wonder if maybe you've passed a modern-day Shakespeare on the street in Williamsburg. Created over a period of five months, these mockups are about as true-to-life as any photoshop-enabled time-traveling fantasy could be; author and historian Dr. Suzannah Lipscomb made sure the 2013 versions of this historical superstars actually reflect what they might look like modern day, to whatever extent that's possible. The Secret Life Of... took into account not just their professions/titles but also their attitudes, personalities, income, and other intangibles that might explain why Marie Antoinette would be such a fox, while Henry VIII is basically the Most Interesting Man in the World. It sure is an interesting little take on the history of fashion, and raises the most helpful question of all: which style is really more clownish and laughable?